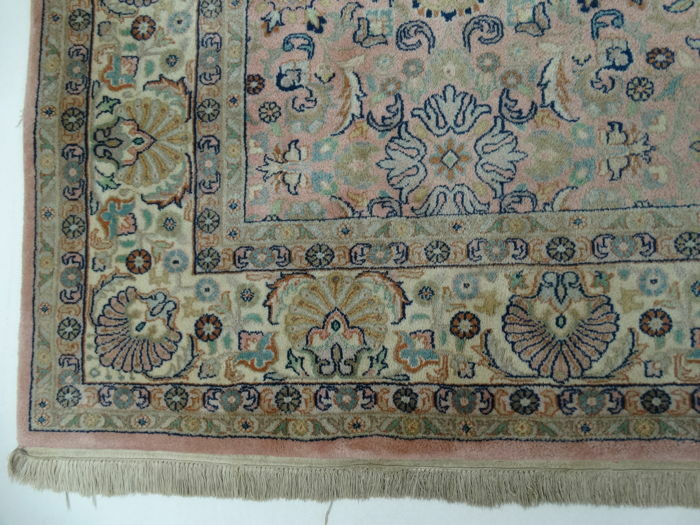 Oriental rug in antique pink - in beautiful, used condition" - with certificate - second half last century - approx. 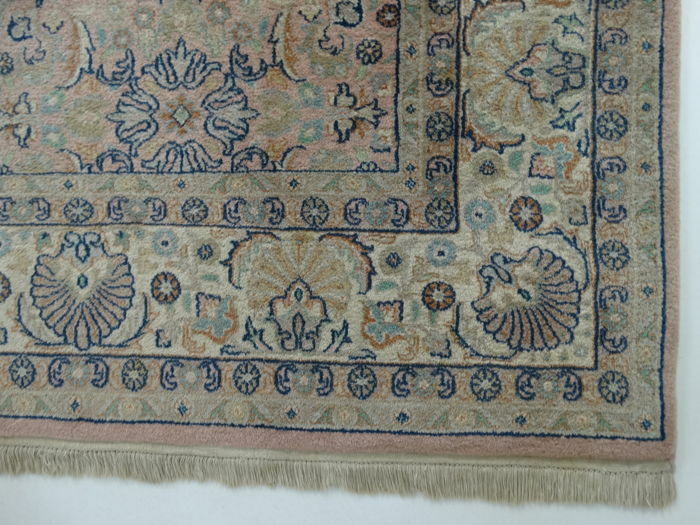 250,000 knots per m² - hand-knotted. 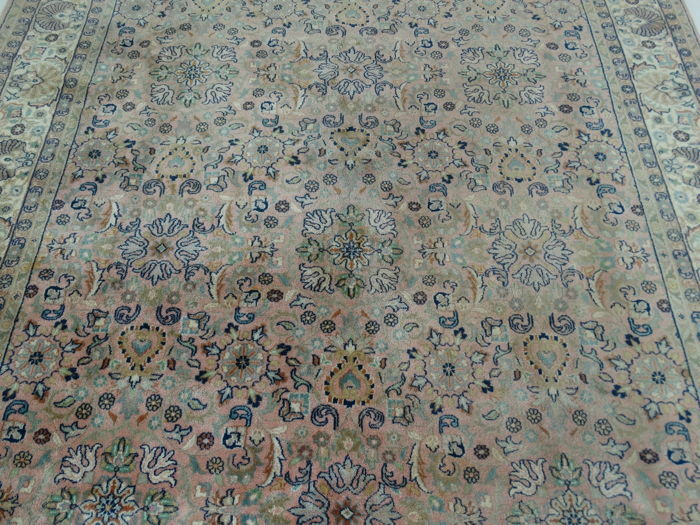 Imperfections in the patterns and shape make this rug unique and emphasise its authentic and artisanal character. 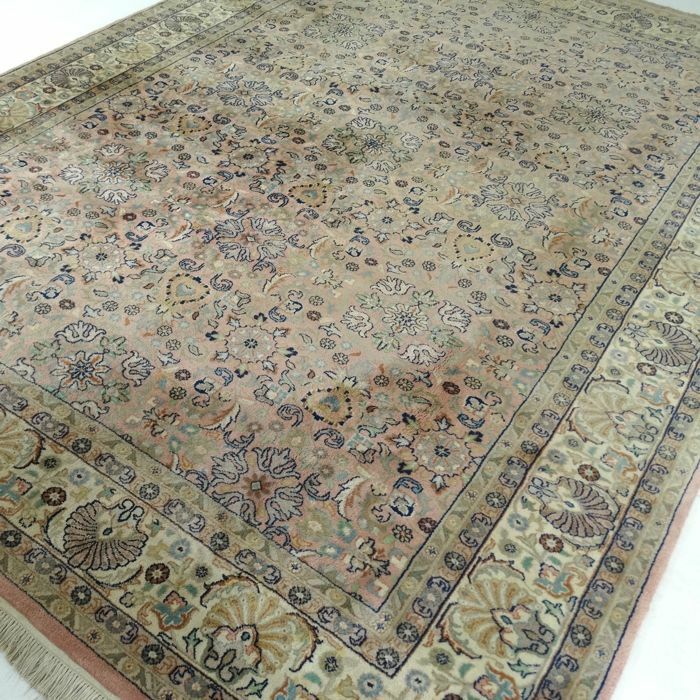 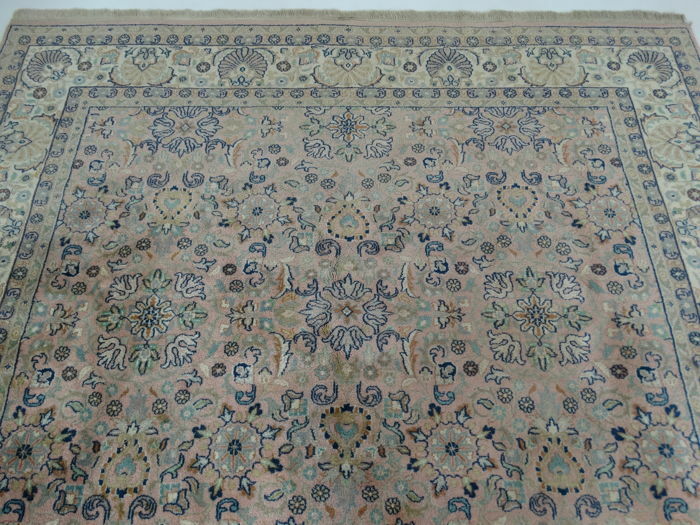 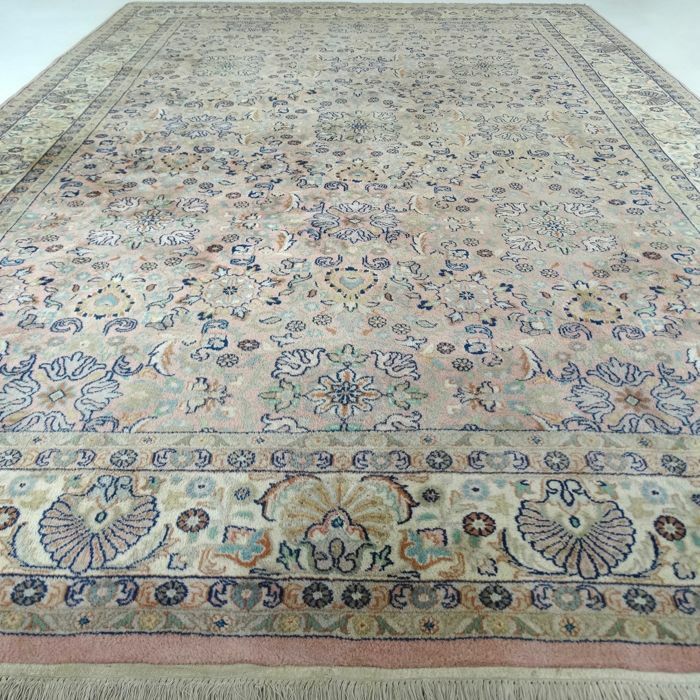 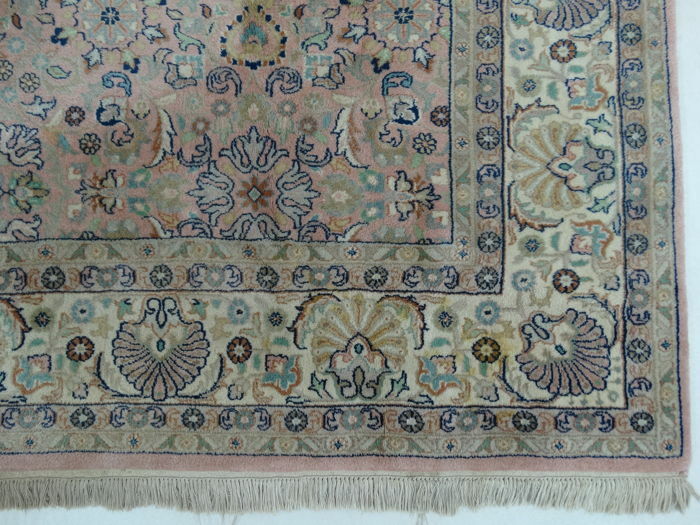 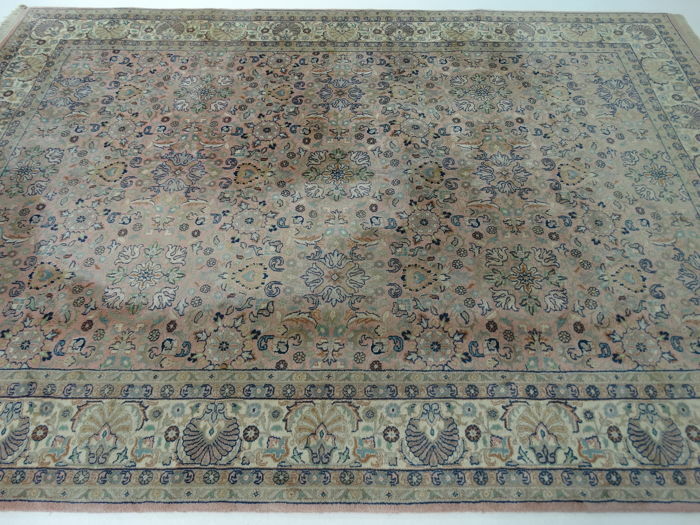 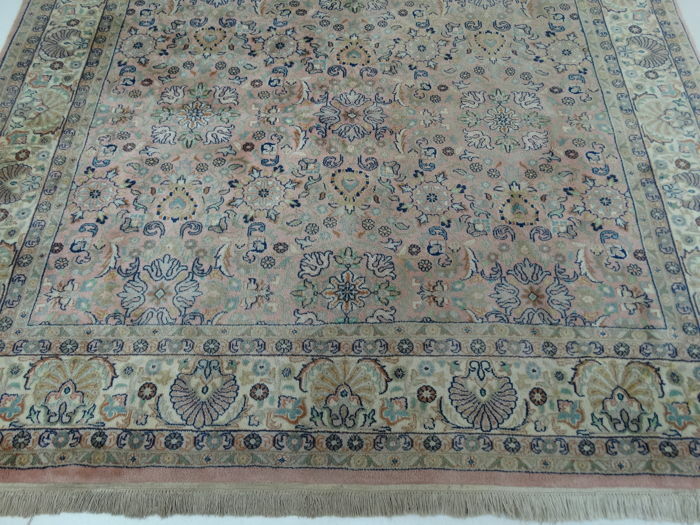 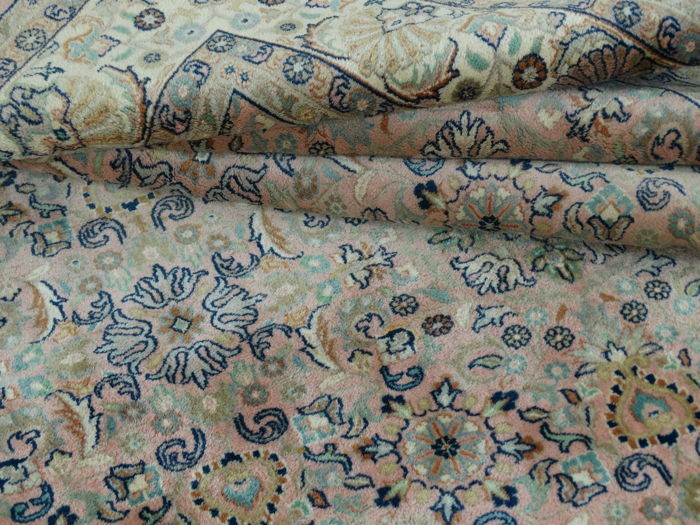 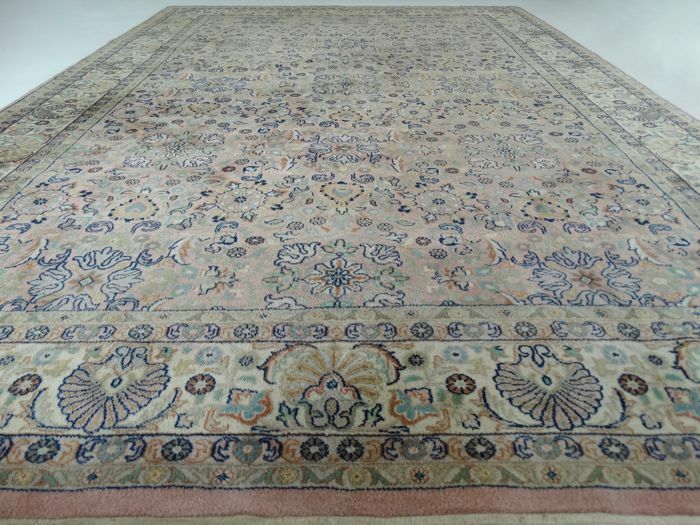 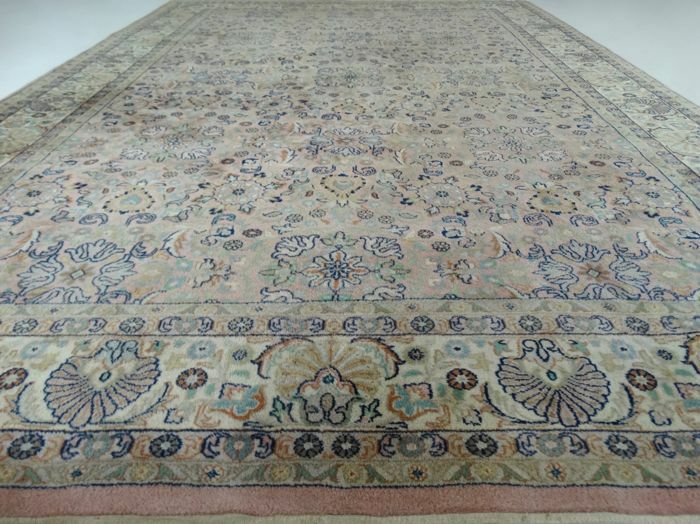 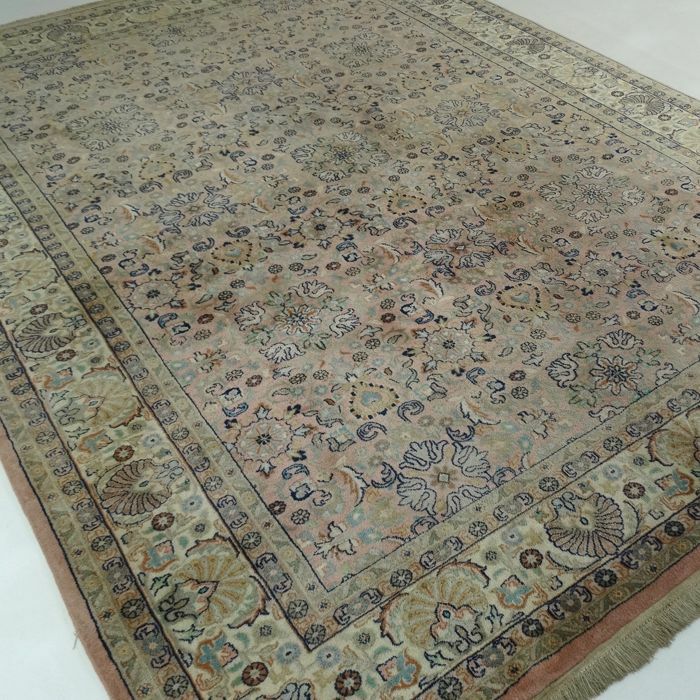 This Sarough was made in India, originally, Sarough rugs were made in Iran. 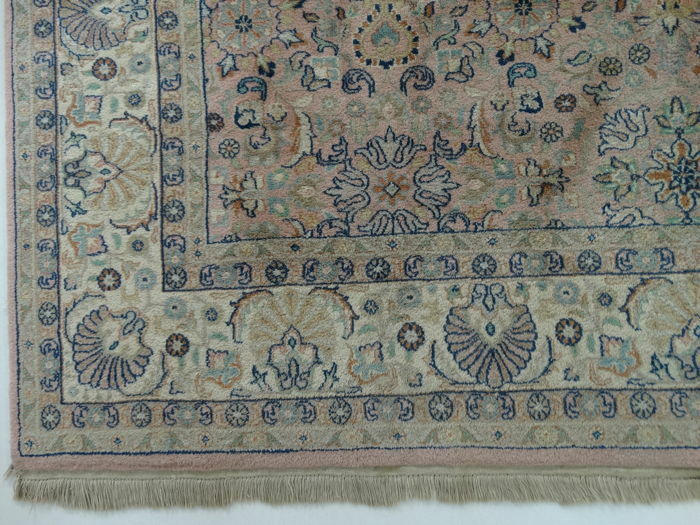 The way it is knotted ensures an extra strong rug. 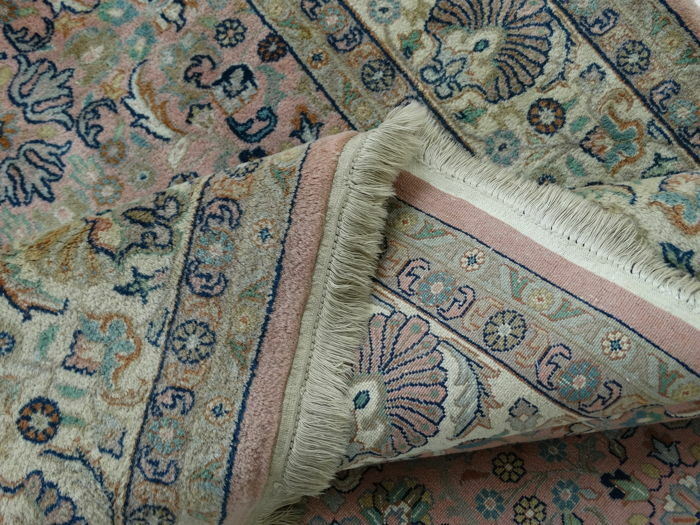 Main colour: antique pink. 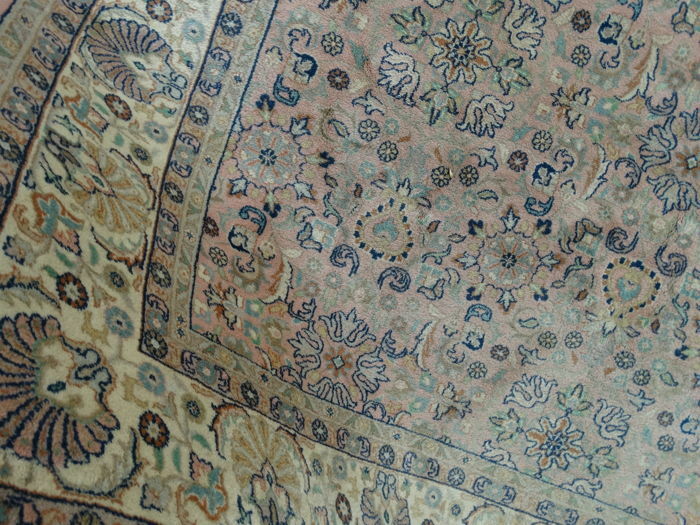 Accent colours: shades of cream, brick, green and blue.